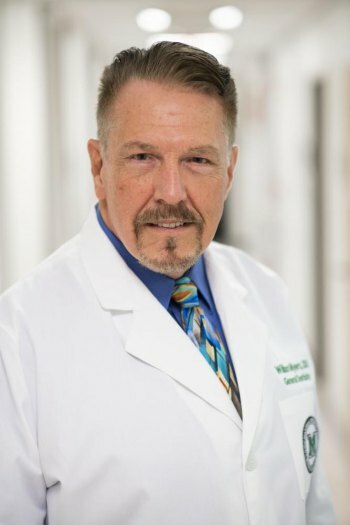 HUNTINGTON, W.Va. - Marshall University Joan C. Edwards School of Medicine, Marshall Health and Cabell Huntington Hospitalmedical and dental staff welcome William T. Myers, D.D.S, to their team of dental providers. Myers, an associate professor in the department of dentistry, oral and maxillofacial surgery at the Joan C. Edwards School of Medicine,specializes in preventive, restorative and prosthodontic services as well as cosmetic procedures including veneers and whitening. In addition to his roles at Marshall Health and the school of medicine, he provides dental diagnostic services for the military and is a full-time staff member of Cabell Huntington Hospital. Myers is accepting new patients at Marshall Dentistry and Oral Surgery located inside the Fairfield Building at 1616 13th Avenue, Suite 201, in Huntington. To schedule an appointment, call 304-691-1247.